In previous posts I talked about the ups and downs of messing with wires, then about the reasons why you might choose to manage a complex installation yourself. As part of this, I suggested that you should do the complex (aka fun) bits of a cat5 installation yourself. 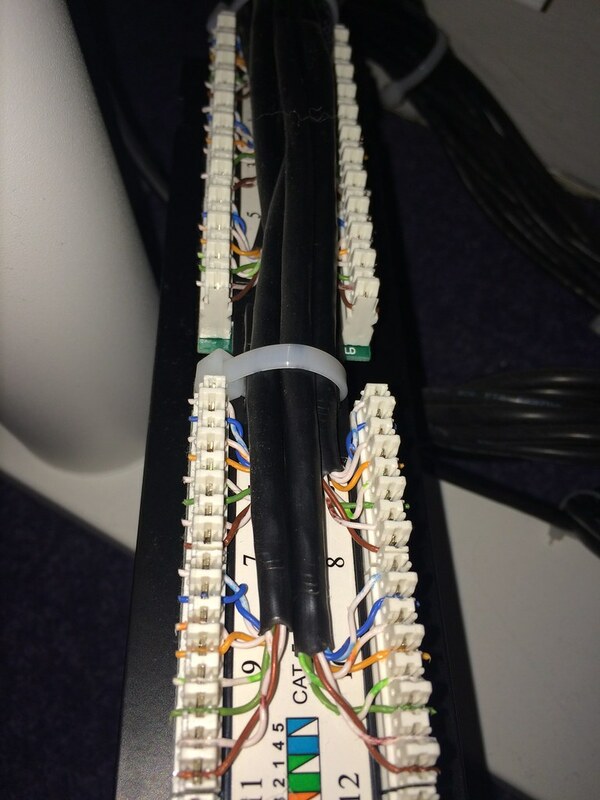 Cat5 (or specifically the ow ubiquitous Cat5e version) is the most common network cabling to install. It can carry 1Gbit traffic comfortably, so pretty much any typical office or home application. It can also comfortably carry other signals, for digital and analogue phone hookups, and low power applications, such as for low voltage LED lights. Adaptors exist for video, but if you need to connect a TV, you probably need coaxial cable (I’ll cover this in the next post). Cat6 is fairly popular too, but is much harder to install. If you need faster speeds, you need to also consider fibre optics, and that’s generally just a level more complex. But in this era of wifi, why would I bother? Well, if you live in a quiet area, need to cover just a few rooms, and don’t need reliably high speeds, wifi is probably entirely fine. However, if there’s more than a couple of other people living/working within 100m, or you have a bigger house, you want high quality video etc, you have no guarentees without some cabling. A common setup would be to use some cat5 hookups between wifi transmitters and routers, which you may well need several of, and also to any fixed PCs, plus media streamers or “set top boxs” by the TVs. You can then use other cables to carry phone lines, etc etc. A neat approach is to wire cables to a small cabinet on each floor, then link the cabinets together between floors. A cabinet per floor might seem like overkill, but it’s a pain to run many cables beween floors, so worth considering. Incoming phone lines and faster internet connections can be installed next to one of the cabinets, then routed to where they are required. If a new neighbour turns up who makes a lot of wifi noise, you’re fine. If you need faster video, no problem. Extra phone line, or new internet connection? Also easy. Powerline devices are also a possibility, and are popular for wifi backhaul. It’s important to remember they do not travel across different electrical circuits. So, if your kitchen is on a different circuit from your upstairs and your downstairs plugs, you’ll not be communicating between them. 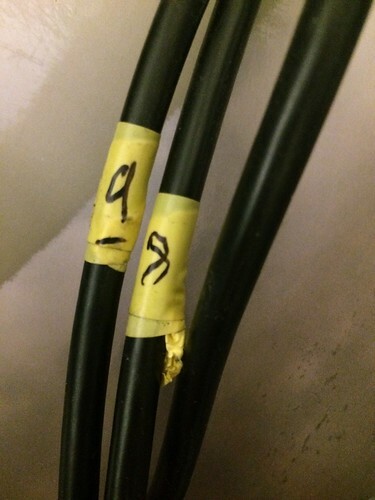 Of course, all this will be too much trouble in a building you’re occupying for a short period, but if you plan to be about for a while, or you’re doing major works, it makes sense to invest some time and money in a good cat5 installation. There’s lots written on this topic, so rather than going into massive detail, I thought I’d share a fairly comprehensive list of tips, that will take you through the full process, from running cables, through to testing and use. Labelling: You’ll need to label every cable you run at both ends. Get yourself some yellow insulating tape and a sharpie. You’ll thank me later. Consistency: when buying sockets, go for the same module every time, and get yourself a good bulk price on eBay. There’s not much benefit to getting the expensive stuff. It’s all mostly plastic, but all pretty good. However, each new model will be a new challenge. It’s good to build experience with how you route cables in a single design. Practice to get the length right: Practice really does makes perfect here. 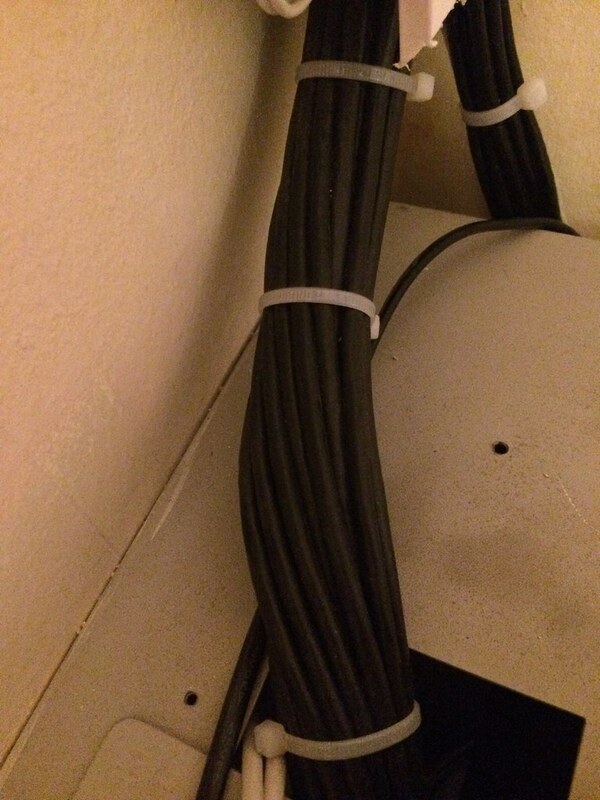 Practice 4 or 5 times on spare cable, until you know how to trim everything to the perfect length. It’s worth it, because you have consistent sockets, right? 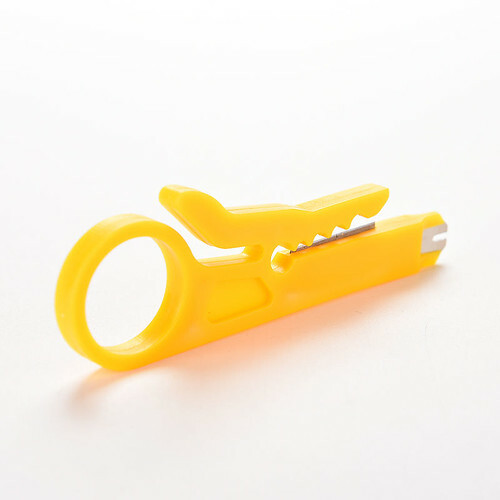 Stripping cables: get a tool like the one below. Just do it. They strip the outer sheath back perfectly every time, and cost a few pounds. You’re really not good enough with a knife of a pair of snippers to avoid damaging the inner cables, and causing a fault. Use cable ties: They hold everything tightly in place. Your sockets probably have loops for securing cable ties. In my view, tape is for labelling and for temporary installations only, not for a permanent job. Double click: finally everything is in place. Two clicks with a punchdown tool, on each of the six cables, and you’re done. A bit of an anticlimax. Testing: get a tester like the one below. 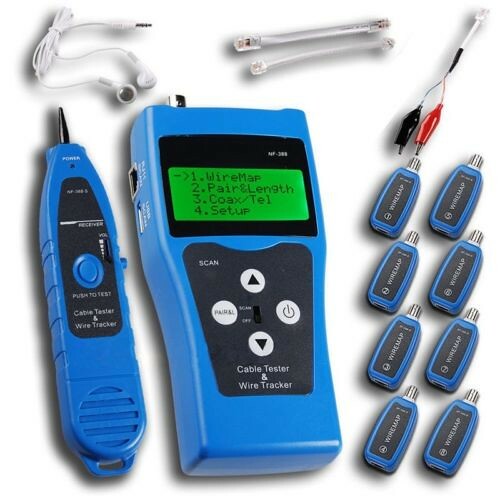 There’s a remote for each cable you’ve terminated, so it’s quick to check multiple cables at once. Again, they’re pretty cheep on eBay, so don’t be tempted by the even cheeper models with just red LEDs. Those can’t indicate some crossover or short circuit faults clearly, leading to much confusion. Finally, have fun: With some hard work, you’ll get a great installation at the end, that will solve a lot of cable problems for years to come.